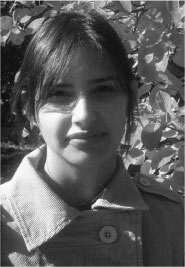 Kim Sukie Dhillon: Prior to the trip I had little knowledge of Romanian contemporary art. My interest stemmed from a project I curated with a Bosnian artist in Sarajevo earlier in 2005, as well as a research trip to southern China in 2005, both of which sparked an interest in emerging art scenes in communist and post-communist areas. My knowledge of the art scenes within Romania was minimal prior to the trip, thus being one of the trip’s greatest benefits as providing a broad ‘crash course’ in Romanian contemporary art. My interest, early in the trip was shaped by trying to place Romania’s art practices in relation to geographically near countries, or politically similar regions. Through the trip I began to develop more of a sense of Romania’s art scene very much independent of the outside factors, a unique specificity (this isolationism and vacuum of information during the communist regime) which seems to be a significant factor in getting a sense of Romania’s art scenes. K.S.D. : Other than young artists or new galleries who had been presented by Simona Nastac during presentations on my MA at Goldsmiths, my knowledge was admittedly minimal. It must be said that when discussing young or emerging Romanian artists with Simona prior to the trip it was very difficult for me to grasp a sense of their work, seeing as they were all artists I had not encountered before (few if any were showing in the UK and North America, where I tend to view work). This then furthered the problem as it’s difficult to get a sense of Romanian art scenes outside of Romania for lack of international exposure. This seemed to be a crucial benefit of the trip—providing exposure between the UK curators and Romanian artists/curators/gallerists. Others on the trip had knowledge of more established and Modern Romanian artists who had succeeded internationally such as Neagu or Brancusi; my knowledge of even these artists was superficial prior to the trip. K.S.D. : The art scene in Romania seemed to be to be very much divided on the lines of artists who struggled to practice throughout Communism and now continue to make work, and younger artists who entered art school after a 50-year dictatorship ended and who often choose to make work that has no political content. This polarity is particularly obvious when discussion turns to MNAC, the new museum of contemporary art, housed in one small wing of the Palace of the People, the second largest building in the world and the greatest symbol of Communist megalomania. Artists of Dan and Lia Perjovschi’s generation refuse to show in or even enter the new museum, it’s re-approation viewed as an extension of corrupt politics, not a subversion of it. Younger artists seem to be more willing show there, intending to professionalise their practise on international levels. This binary is crucial to the weight tied around many artists’ legs in Romania—personal politics run so deep that few seem to align to achieve artistic aims (in for example, funding). Cluj, as a city, was an exception to this polarity (by contrast Iasi seemed very dominated by creating an identity in opposition to Bucharest and MNAC, thus reinforcing the peripheral anxiety). Everywhere else we travelled, artists and curators structured their talk around the MNAC and their argument or opinion of it. In Cluj, deeper in Transylvania, we found the only example we saw of an independent art scene where their own projects (not MNAC) were at the centre of their discourse. Cluj’s architecture was also different—Austro-Hungarian in the city centre—and not Communist blocks in the urban core as we had seen in Iasi or Bucharest. The suburbs of Cluj resembled Iasi—massive concrete blocks where the assimilated landscape makes you feel lost—but Cluj’s art scene felt more optimistic. Cluj’s population is 20-25% student depending on the time of year. At the heart of this was Galeria Plan B, curated by Mihai Pop (and the current exhibition at the time was painting work by Victor Man), and IDEA magazine. What differentiated these projects from those we saw elsewhere in Romania was their artistic integrity that held up to international comparison. In Bucharest I suspected a need to ‘appear contemporary’ by arts professionals, often by saying their galleries were ‘new media’ in their programme (new media seemed to encompass anything from video, to web based art, to photography). In Cluj we saw the only painting show of the entire week (by Victor Man), and it felt refreshingly contemporary by contrast. Similarly Pop’s approach to running the gallery, with the support of a young Neagu collector was not only engaging and refreshing and on par with international peers, but offered up exciting potential to develop projects with international artists in Cluj. K.S.D. : As stated above, factionalism seemed to be a major hurdle facing the artistic production. I err against presuming that state-run is limited and beaurocratic and independent is free-flowing and progressive. In my experience in large institutions in China, this has been contrary. The fact of the matter more often seems to be a grey area in the middle: with circuits of funds in place, institutions and independent initiatives inherently end up answering to some one, with different paradigms in place in their power structure. The most clear-cut examples on this trip were the restrictions of MNAC versus the freedom of the Perjovschi’s studios. While MNAC had a feeling of disinterestedness in their own collection, the Perjovschi’s archive was a labour of love. MNAC was also clearly more bureaucratic than the CAA. However, other independent galleries we visited in Bucharest—such as Galeria Noua—felt equally limited as MNAC in both curatorial excitement and bureaucracy, where as Plan B in Cluj had a programme that felt more progressive. It should be noted though, that Plan B also can’t operate without some ties, but that the support of an independent young Neagu collector allows those ties to be more flexible and beneficial to artistic production than state funding may allow. There was also a great feeling of skepticism of state funding in Iasi, compounded by the questions which met the State Secretary of Culture, though his programme sounds optimistic and idealistic. K.S.D. : The art production seemed to be split on the lines of those who struggled to make work under communism and those who entered the art schools following the revolution. I have to say, and this is an Orientalist view, that I am sometimes still surprised at the amount of apolitical work from artists of my age group practicing in Romania. There seems to be a gap, a lack of work being made about recent politics, social, and political histories. Work is either of the communist era, activist and anarchist in subversive tones, or sterile apolitical work that looks to the West for models rather than within the Romanian art scene, past and present. There is a striking generation gap. K.S.D. : There is something very appealing about being within an art scene as it emerges. The scene in Romania, though problematic (and sometimes to the point of stagnation), offers a lot of potential in that the young and establishing artists and curators working now have the unique opportunity to lay the foundation for what contemporary art within a hub in central Europe can become. That’s very exciting, and something you don’t get any sense of if working in New York where success of the commercial aspects of the art world at large, to a degree, breed a sterile, glossy, stagnant pond. Artists there in contrast to those in Romania often work as individuals, whose practice independently must be extremely strong to have impact on the scene at large. In Romania, the small art scene offers up a potential for discourse, exchange, and permanent impact on Romanian contemporary art that you don’t get when working in a large art centre such as London or New York. There does seem to be a lack of a foundation of funding, and confidence in the system. There seems a great deal of mistrust in public structures. But I’m not sure how you rectify this without ignoring the past. K.S.D. : On the basis of media, there seemed to be a great deal of ‘new media’. In the UK, this is a term that applies only to web based art. However, this term seemed to encompass photography, video, web, film etc in Romania. I’m suspicious on a very superficial level that this is a term used as it seems to appear (by default of the term ‘new’) contemporary to Western audiences. There seems an excess of traditional media within the art schools, and critical debate and dialogue outside of academies and in public forums seems needed. This agenda seems to be succeeding particularly in art publications and magazines in Romania. Similarly, a public who support, understand, and are interested by contemporary art seemed very lacking, and programmes that engage a broader public with contemporary art in need. I would be very questioning of these stratifications if I were working in the art scene in Romania again: where they come from, how to eradicate them, what perpetuates them? K.S.D. : Not as yet. One expects it to seem very political, very activist, and it wasn’t. K.S.D. : Not as yet, though I am open to conversations should anyone have interest to do so, or to discuss future projects. K.S.D. : I am now in the beginning stages of developing a residency programme for young artists in Romania to come to the UK and work for a period of 6 weeks in locations on the South coast. Space is at a premium, particularly in Bucharest, and this seems to pose a great threat to stopping artists’ careers before they start. This is a project that will be developed with Sian Bonnell, director of TRACE, and participant on the trip, and emerges from our conversations over the week, and the interesting work by young, female artists in Bucharest, in particular Ioana Nemes (whose practice as a young artist has centred on her lack of physical space in which to work).